One of the best parts about being an event professional in 2016, is the amazing amount of resources and opportunities to learn, grow, and rock events! Whether it's sharing content that we at MeetingPlay have shared across other channels, content we've found useful from our partners and associates, or content we truly feel is just worthy enough to share and spread the good into the world - our weekly roundups is a way for us to spread the good news of the event technology world! 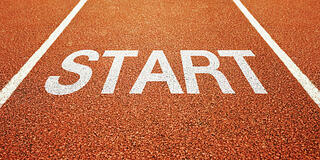 Similar to playing chess – any event or trade show needs to be strategically planned. No trade show or event should just be done on pure whim. 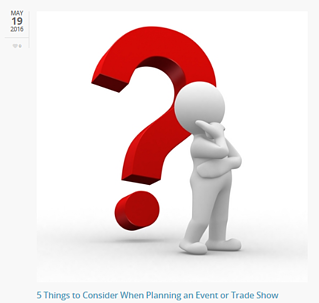 With everything event and trade show professionals have to do – we’ve pinpointed five essential things you need to remember when planning any event or trade show! Read MeetingPlay's 5 Things to Consider on Bartizans blog. This week we shared 6 productivity tips (aka hacks) for trade show exhibitors to remember when planning and executing their trade show exhibits. Read our 6 Hacks on the TradeShowGuy blog. 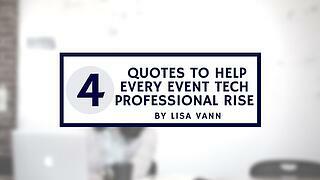 Lisa Vann, MeetingPlay's owner, recently shared 4 encouraging quotes and tips on how event professionals and those in the event tech industry can rise above fear and succeed on the EventTechGuide blog. 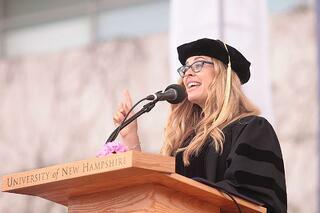 In 2014, Frozen writer/director Jennifer Lee, a graduate of University of New Hampshire in 1992, gave the UNH commencement speech. Perhaps we're a bit late to the amazingness that this speech was, but it touched both MeetingPlay's founder, Lisa Vann, and the MeetingPlay staff so much, we knew it was worth sharing. You can Jennifer's UNC speech here, or read Jennifer Lee's UNC commencement speech here. This week, an amazing post by George A. Santino who is from our very own Washington DC shared an amazing piece about merely starting. By refusing to let where you are get in the way - and by committing to starting, any event professional can allow themselves the opportunity to succeed. 6.) Believe That [You're] Enough. 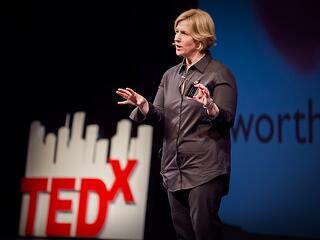 Every single part of this amazing TedX talk by Brené Brown (read the Brené Brown's Ted talk transcript here) can help us grow and learn as event professionals. It's truly worth listening to Brown's entire TedX talk, yet perhaps the most profound point that Brown makes, and one that we at MeetingPlay truly believe, is this: "...believe that [you're] enough. Because when we work from a place, I believe, that says, "I'm enough" ... then we stop screaming and start listening..."
MeetingPlay truly believes in listening to our clients - by offering dedicated account managers to each of our clients, we allow event professionals and companies that choose to use the MeetingPlay mobile event app or the MeetingPlay registration system - a chance to be heard, and a chance for us to listen - thus truly create a helping, successful event in every possible way. "Being a leader means you don’t always have to be the lead. By working together, collaboratively, and not always needing to take credit – you are able to promote a cause greater than just yourself."